Kaplan rolls into a 4-6-3 Double Play. We go to the bottom of the 3rd. No score. Bases loaded with 1 Out for the Bulls. OUTSTANDING! 4-6-3 Double Play kills the USF momentum. I am not one to talk about an umpire's strike zone but USF's pitcher is getting a high strike. We just manufactured a great 2-Out run - to take a 1-0 lead! Awesome baserunning by Grant Brown. Hunter Hope goes yard. Now 3 Tulane runs scored with 2 Outs. We're seeing USF's starter very well right now. We go to the Bottom of the 4th and Corey will be working with a 3-0 lead. We just quite couldn't make a play on a shallow outfield pop-up. Now base runners on 1st and 2nd for USF with 1 Out. Merrill with a nasty pitch to get the second out (K) of the inning. USF goes yard on next pitch. Last edited by wave-em in on Tue May 23, 2017 4:59 pm, edited 1 time in total. DeHart homer makes the lead back to 3 for the Green Wave! These guys have come out focused. Need Merrill to regroup and get through 6. I credit the senior leadership. Graf keeps mentioning how hard the infield is at this field. Especially in front of the plate. Lots of easy hops for infielders. But also some opportunities for some cheap hits too. Another homer, this time a solo bomb by USF. 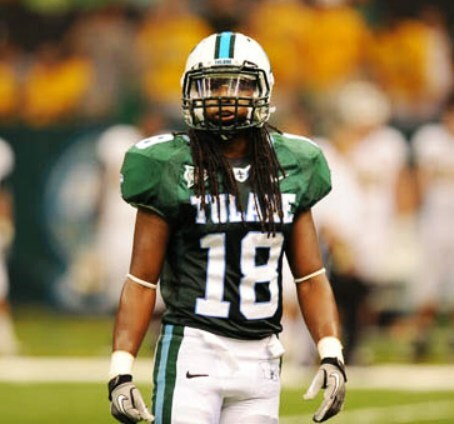 This wind isn't the worst thing for Tulane, since we certainly don't have a problem hitting the long ball. Homer bad guys followed by error at short. We need to get Merrill out of this.